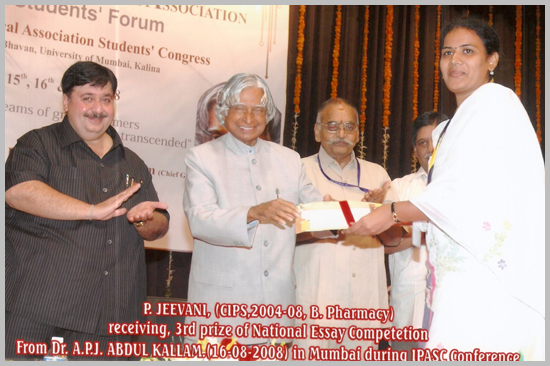 P.Jeevani (B.Pharmacy-2004-08) received 3rd prize in National level Essay Writing Competition from Dr. A.P.J. 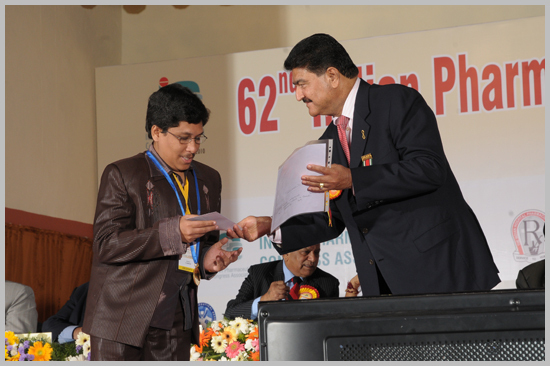 Abdul kallam (16-8-2008) in Mumbai during IPASC Conference. R. Rama Krishna secured M.L. 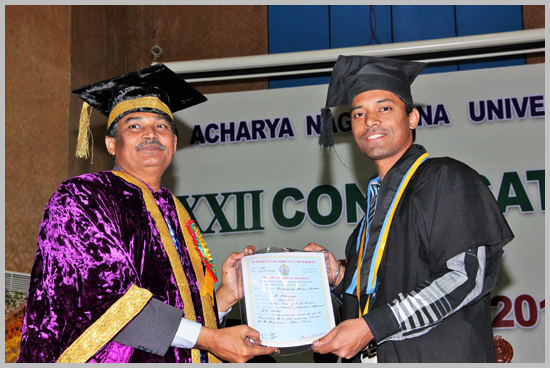 Khorana memorial award. 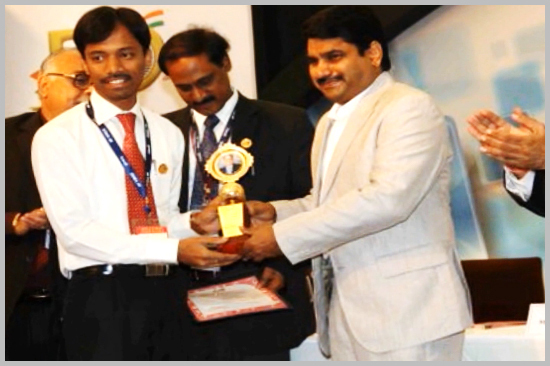 Mr. S.S.ManiKiran (faculty) secured first place in National level assay competition. R. Rama Krishna securedJ.B.Modi award. 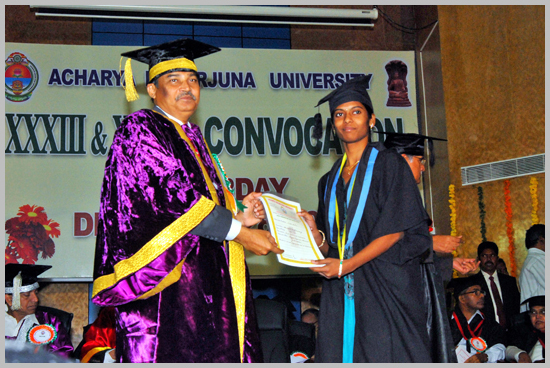 J.Nalini (B.Pharmacy) received alapatijayasree memorial gold medals during 33rd& 34th ANU convocation. 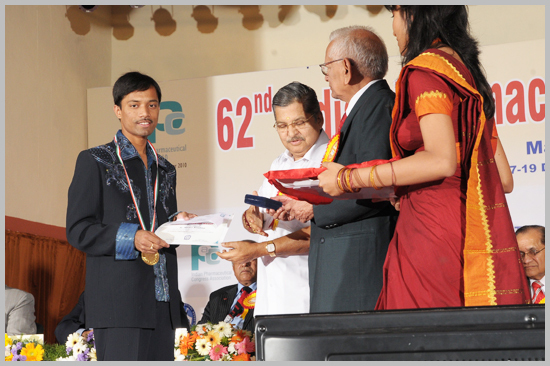 R. Rama Krishna (B.Pharmacy) received alapatijayasree memorial gold medals during 33rd& 34th ANU convocation. 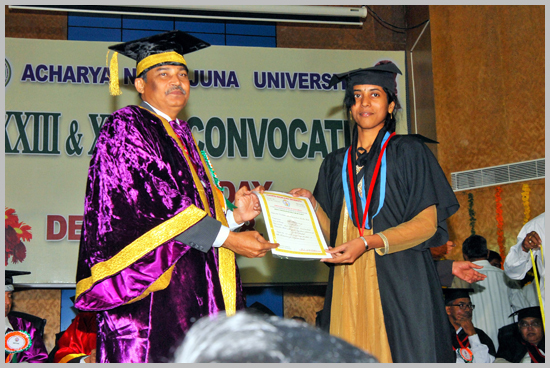 M. Ushasree (B.Pharmacy) received alapatijayasree memorial gold medals during 33rd& 34th ANU convocation.